The Hogback Mountain trail in Montville takes hikers past the gigantic glacial erratic known as “piano rock,” through a young beech forest, and up a 30-foot cliff with tiny cascading waterfalls. The payoff at the summit (1,115 feet) is a fantastic southerly view of the Georges River watershed. 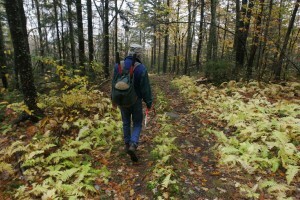 Hogback Mountain sits to the west of Frye Mountain and the trails of both mountains are linked for an 11-mile adventure. 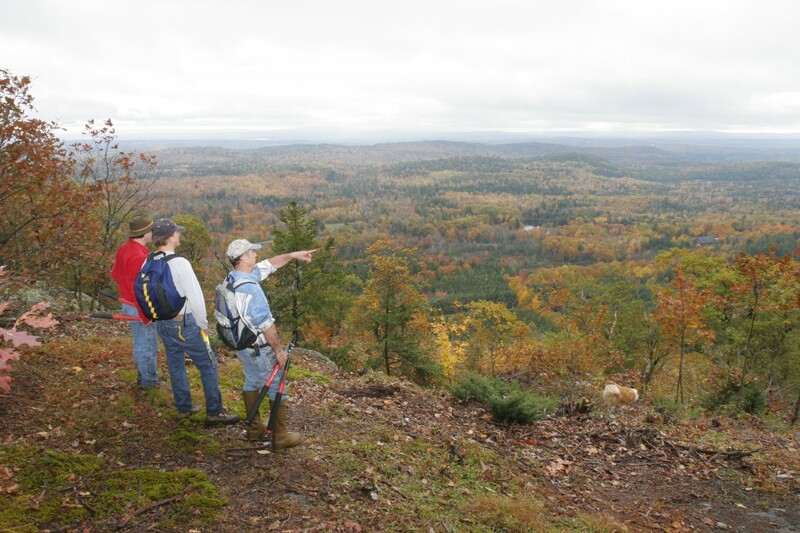 Please note that this trail used to be a looped route around the top of Hogback Mountain, but, as of June 2015, it is now a point-to-point trail. 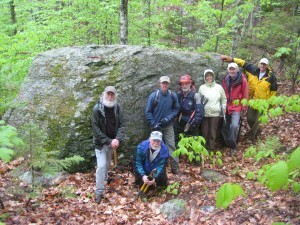 The Hogback Mountain trail also connects to the Sheepscot Headwaters Trail Network, created and maintained by Midcoast Conservancy, a local nonprofit conservation organization. 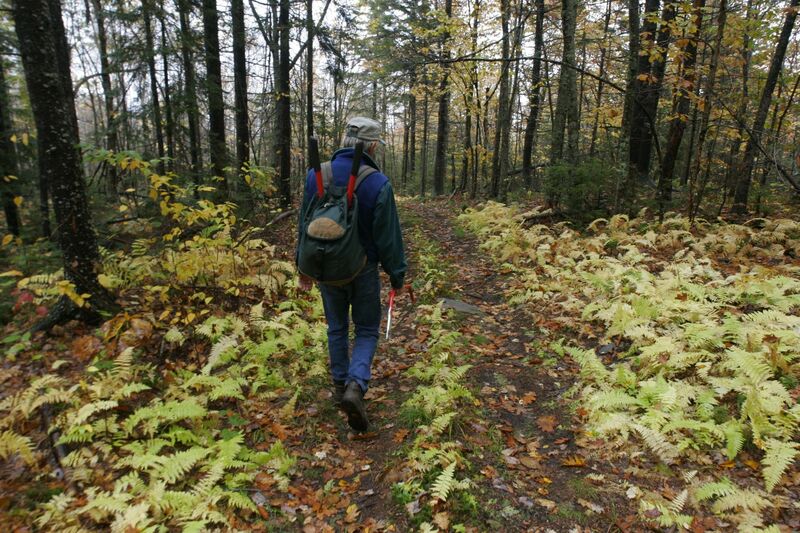 This partnership has opened up an additional 15 miles of trails for the public to enjoy, featuring old growth hemlock forests, a large hidden marsh, and the rollicking headwaters of the Sheepscot River. Access is via the Frye Mountain parking area. From the intersection of Routes 3 and 220 in Liberty, follow 220 north for 6.5 miles to Walker Ridge Road on the right. Park at the Dept. of Inland Fisheries & Wildlife maintenance building lot (see map) and walk north on Route 220 for 500 feet. Trail is on the left.